Breaking ... Prime Minister Theresa May to BBC's Andrew Marr, on Trump's Brexit advice: "He told me I should sue the EU — not go into negotiations." Situational awareness: Eyeing 2020, Joe Biden, 75, will campaign up to four days a week for midterm candidates after Labor Day, per N.Y. Times' Alex Burns and Jonathan Martin. De León got 65% of the vote of about 330 members of the state party’s executive board. ... Feinstein: 7% ... 28% voted for “no endorsement,” which had been her plea. N.Y. Times' Adam Nagourney says de León remains a long shot in November. 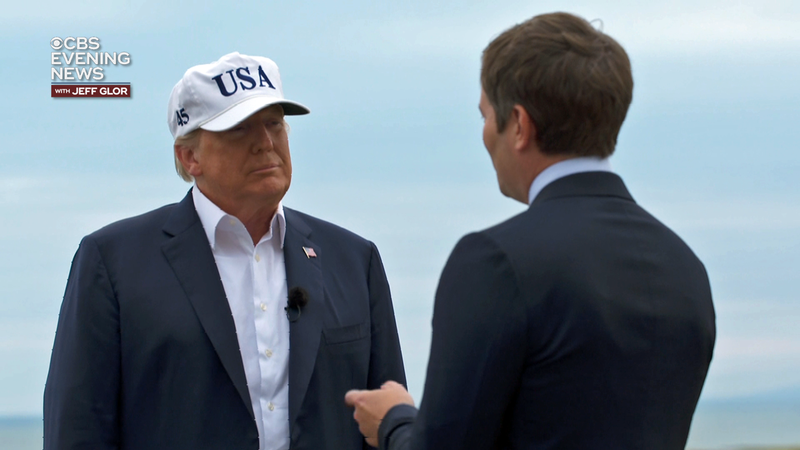 President Trump no longer doubts the basic intelligence assessment that Russia interfered in the 2016 election — he just seems incapable of taking it seriously, and tells staff that is simply what nations do, several sources close to Trump tell Jonathan Swan, who's filing from Helsinki. 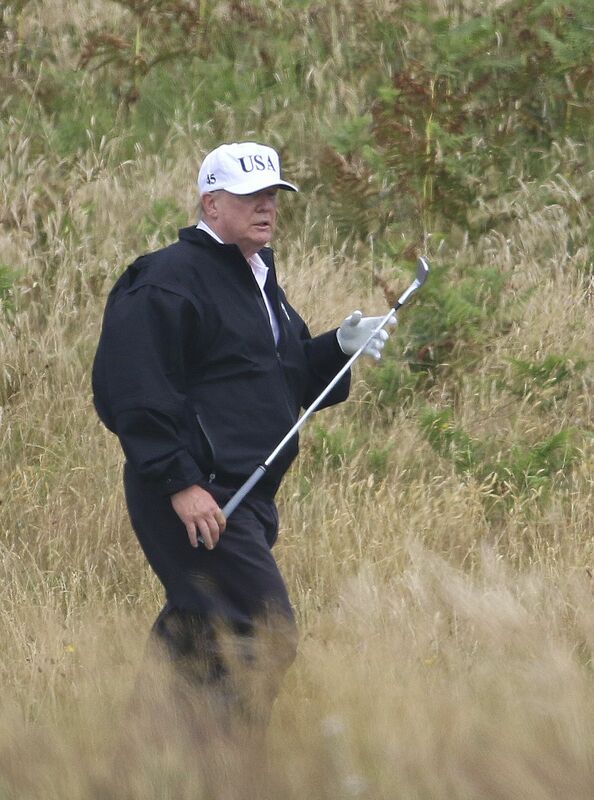 He's definitely harmed European relationships through his steel and aluminum tariffs, withdrawal from Paris, and withdrawal from the Iran deal. 3. 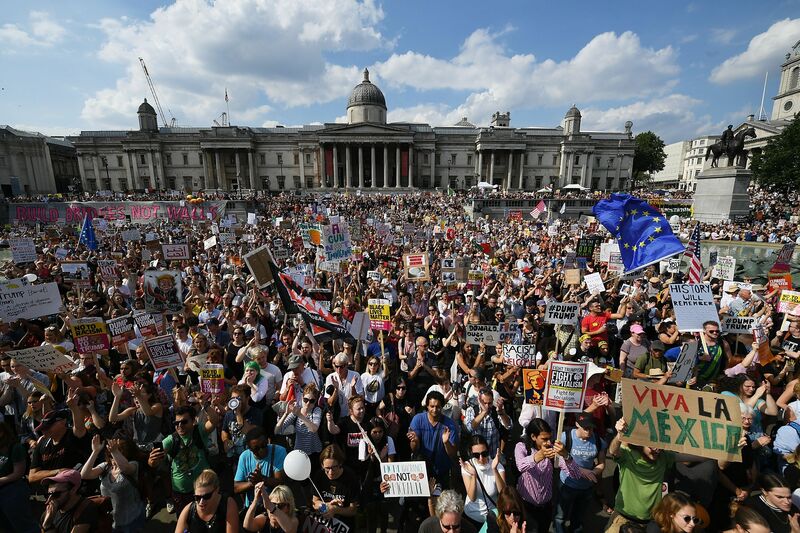 Trump on running in 2020: "It seems like everybody wants me to"
Morgan writes: "As we spoke, over 100,000 anti-Trump protestors were marching through the streets of London. 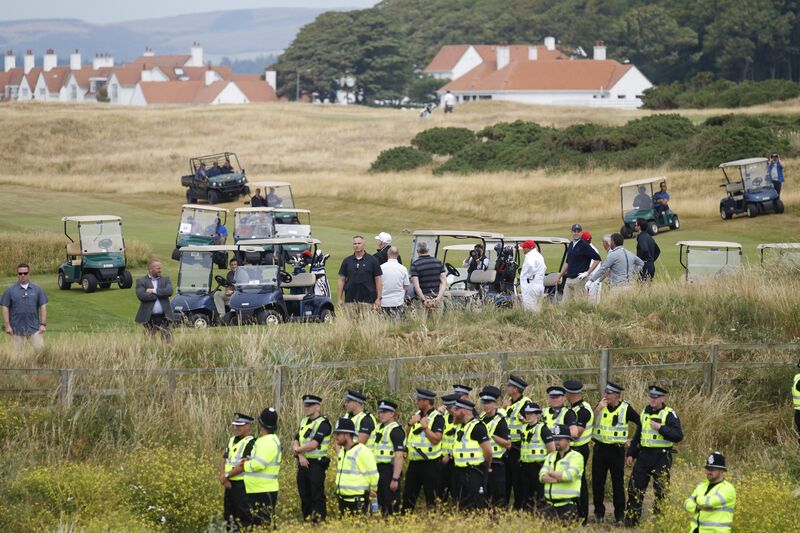 'Some of them are protesting in my favor, you know that?' [Trump] insisted. 'There are many, many protests in my favor.' Hmmm. I must have missed those." 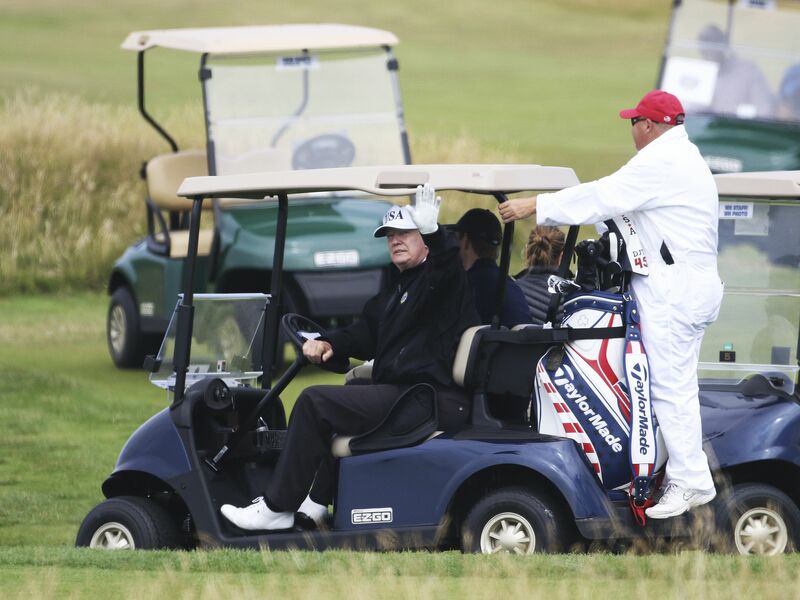 President Trump golfs yesterday at his club in Turnberry, Scotland. "Do not misbehave. Do not sit on the floor. Do not share your food. Do not use nicknames. Also, it is best not to cry. Doing so might hurt your case." "Lights out by 9 p.m. and lights on at dawn, after which make your bed according to the step-by-step instructions posted on the wall. Wash and mop the bathroom, scrubbing the sinks and toilets. Then it is time to form a line for the walk to breakfast." Leticia, 12, a girl from Guatemala who was sent to a government-contracted shelter in South Texas: “You had to get in line for everything." "The facility’s list of no-no’s also included this: Do not touch another child, even if that child is your hermanito or hermanita — your little brother or sister." "Leticia had hoped to give her little brother a reassuring hug. But 'they told me I couldn’t touch him.'" Why it matters: "[M]ore than 2,800 children — some of them separated from their parents, some of them classified at the border as 'unaccompanied minors' — remain in these facilities." "[T]]he environments range from impersonally austere to nearly bucolic, save for the fact that the children are formidably discouraged from leaving and their parents or guardians are nowhere in sight." "Depending on several variables, including happenstance, a child might be sent to a 33-acre youth shelter in Yonkers that features picnic tables, sports fields and even an outdoor pool. ... Or that child could wind up at a converted motel along a tired Tucson strip." "[S]ome elements of these detention centers seem universally shared, whether they are in northern Illinois or South Texas: "
"The multiple rules. The wake-up calls and the lights-out calls. The several hours of schooling every day, which might include a civics class in American history and laws, though not necessarily the ones that led to their incarceration. "Most of all, these facilities are united by a collective sense of aching uncertainty — scores of children gathered under a roof who have no idea when they will see their parents again." P.S. Now a billion-dollar industry: "Detaining immigrant children has morphed into a surging industry in the U.S. that now reaps $1 billion annually — a tenfold increase over the past decade, an Associated Press analysis finds." "Fans attending [today's] World Cup final between France and Croatia will pass a huge statue of the Bolshevik Revolution's leader as they enter the Luzhniki Stadium. Abutting the rear of the monument is a Budweiser concession stand with a sign proclaiming: 'Drink smart today — celebrate tomorrow.'" 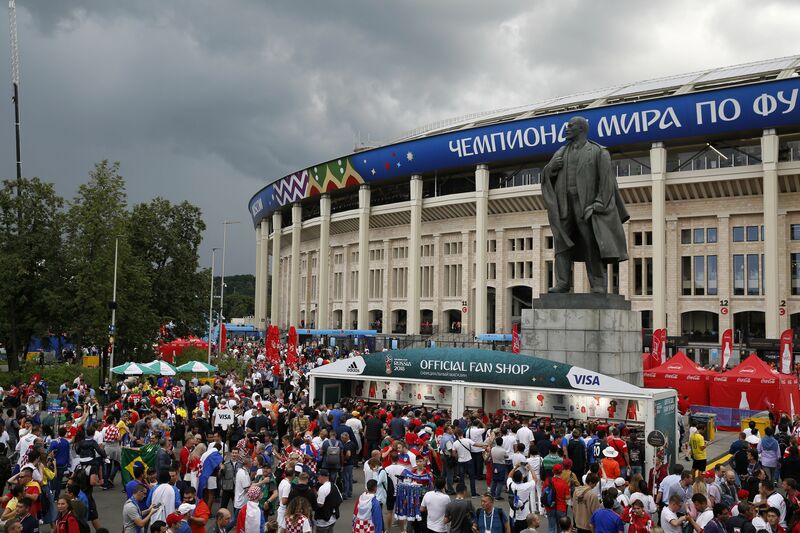 "On the front side of the sculpture sits another stand topped by a Visa advertisement, filled with World Cup licensed merchandise that include hoodies for 6,000 rubles ($96)." Built in 1955-56, the venue originally was called Central Lenin Stadium. It was renamed Luzhniki Stadium in 1992, a year after the dissolution of the Soviet Union. The new name is the Russian word for "meadows." "In Red Square, about 5 miles ... from the stadium and a short distance from Lenin's tomb, FIFA and local organizers opened a temporary Football Park with games and amusement rides — and abundant corporate signage." "It is near a string of boutiques for the haute bourgeoisie that include Cartier, Hermes, Tiffany and Versace." The first trip will be tomorrow at Scarborough State Beach in Narragansett. "She'll be joined by members of her Office of Constituent Services to help connect residents with various services." "While there, she plans to sign an executive order to reduce reliance on single-use plastics that can end up in the state's waters." "She plans to go to East Matunuck State Beach on July 23 and Lincoln Woods State Park on Aug. 3." Thanks for reading. 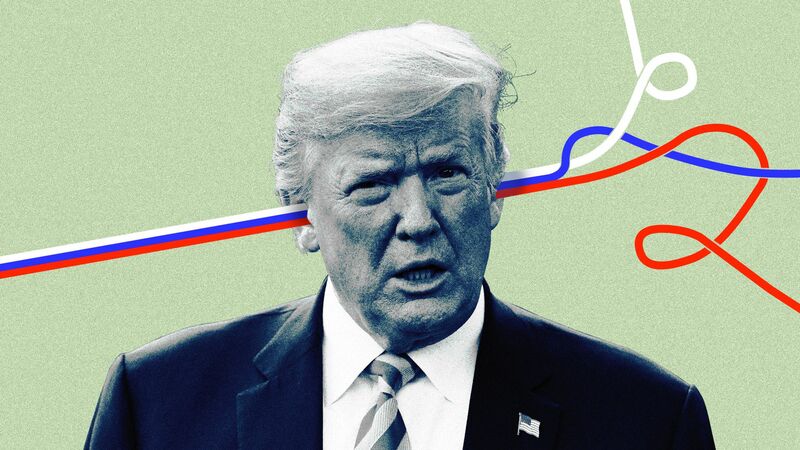 Axios.com will have updates all day from Helsinki and beyond.